The Kershaw Bareknuckle 7777. New for 2018. I understand that not everyone wants to drop $200-plus on a production knife. Probably most of you don’t or wouldn’t. You’re happy with your Walmart special. Nothing wrong with that. 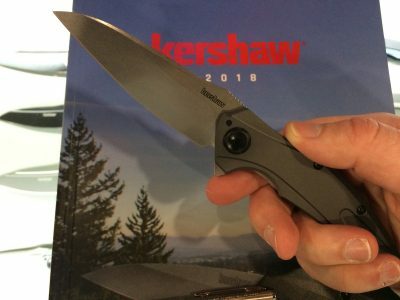 But what if I were to tell you that for just a little bit more moola you’d be able to get a real, quality- made-in-the-USofA knife from Kershaw? Interested? Meet Kershaw Bareknuckle 7777. In the hand. A nice, full-sized everyday carry blade. The look of this knife is that of a no-nonsense industrial tool. That appearance is created by the anodized-aluminum, matte gray handles and the stonewashed-finished, 14C28N-steel blade. From what I know of 14C28N, it’s a mid-level grade steel. Not as great as S35VN, but it’ll get the job done. It’s corrosion resistant and easy to sharpen. What’s really impressive is the action of the knife. The flipper. It has a nice smooth release thanks to Kershaw’s KVT ball-bearing system and an oversized pivot. It is a joy to deploy. With an overall length of 8.2 inches, this is a full-sized carry knife. Yet, it’s relatively light. Only 3.4 ounces. I’d have to carry it for a few weeks before I could truly assess its performance in terms of how well it carries. Who knows, maybe I’ll be lucky enough to get one in for review. Stay tuned. The drop-point blade has a nice belly to it. It reminds me of the Insingo blade design from Chris Reeve. All folded up. Closed it has a length of 4.7 inches. A shot of the spine. Remember this is made in the USA. This is the best part. The MSRP on this bad Johnson is $109.99. But street prices have it retailing for $69.99. That seems like a pretty solid steal for a US-made flipper knife, especially one of this quality and build. 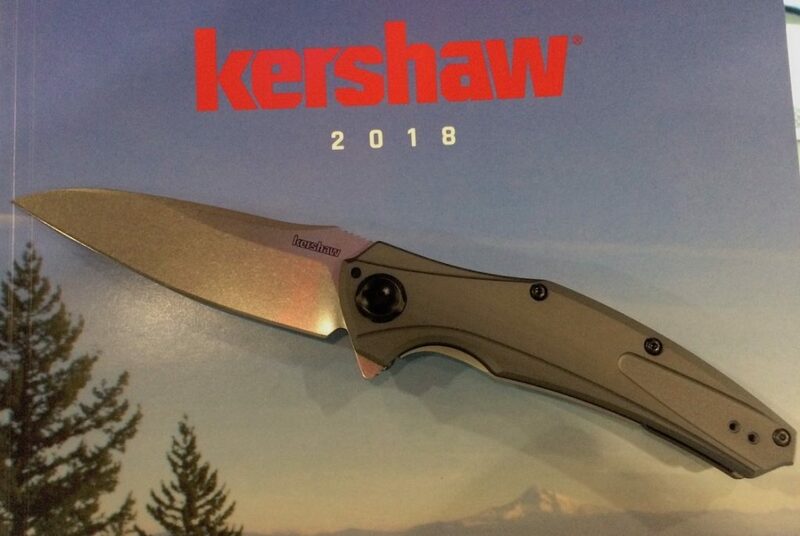 For more information, check out Kershaw’s website. got your blade steel wrong there s.h. This specific Kershaw ? No idea. The other dozen + Kershaws I own ? Damn good knives !! My first “good” knife was way back in the 1970’s (a Buck) and I loved it. Learned a very valuable lesson with it too – never loan your knife, because the borrower might use it for something it wasn’t designed for. But I digress…..I carry a Kershaw everywhere, as well as a Gerber razor – yep, 2 is 1 and 1 is screwed. 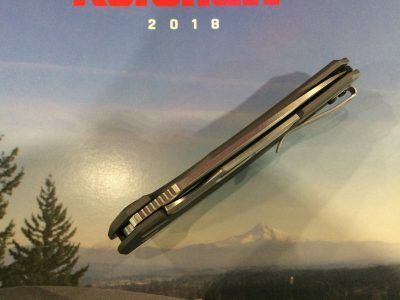 Anyway, I’ve always been beyond impressed with Kershaw’s “Speedsafe” spring-assist opening design. I’ve put them up against some of my MUCH more expensive push-button knives and they’ve always done better than hold their own. 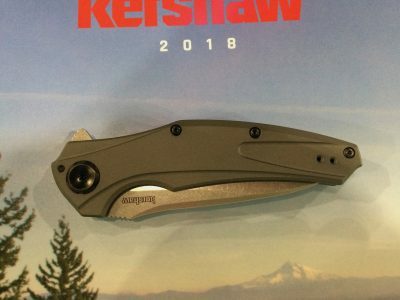 Given how many Kershaws I already own that I haven’t carried yet, I can’t say I’ll be adding this one to my inventory, but if I didn’t, I guarantee you I would. If it`s not made in the USA , you don`t need IT ! 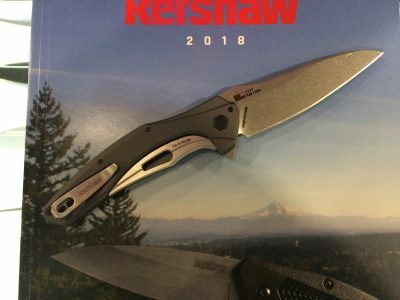 Kershaw is attempting that ole trick of increasing the price of the same garbage so the purchaser will think it’s a better quality product. There is nothing about this knife that justifies the cost- at very best it’s a $40.00 dollar folder. For style- that Kershaw in plumb ugly. 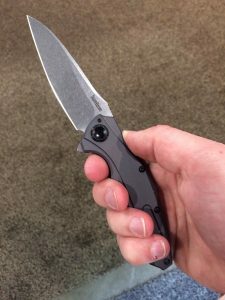 I own several Kershaw’s, and I now make the statement I’ve made many times before, the Kershaw line, especially the Ken Onion designs, are among the best ‘Bang for the buck’ knives out there. I just got a new Auto, the Galyean Launch 7, and it’s light, well made and pleasure to use. At $100, this is a ‘go to’ knife for daily use purposes, and I’m VERY pleased. Sorry as much as I embrace Harbor Freight their $6 knife is no match for a Kershaw with a 14C28N blade. I have had several of the Leek (Kershaw) knives and they last! Edge retention is outshined only by blades that cost 3 times as much. Don’t get me wrong I don’t hate Chinese knives. My edc knife is a Spyderco that is made in China. It is a tough bugger but it doesn’t hold an edge near as long as my Kershaws. It also cost around $50. So a tough US made edc with a good blade steel for $60 from a company that employs American workers sounds like a good deal to me. So, what is the blade material? Is it 8Cr13MoV Stainless Steel as listed in the specs or 14C28N steel as noted in the text? Also, the locking mechanism is described as “Sub-Frame.” I’m not sure what that means, could you provide an explanation? Let’s see, $70. For that I can buy ten of the perfectly adequate folding pocket knives that Harbor Freight sells for about $6. Made in China, but very good Made in China. Will not impress anyone with brand name, but buy one instead and have $60 left for ammunition. I’m cheap too, but not THAT cheap!! Cheap and stupid, must be a dim!